In stark contrast to the ballistic fireworks of the A-side Live Wire, this is a slowed-down cover of an old Mary Wells B-side, an old Holland-Dozier-Gorman number (the liner notes to The Complete Motown Singles series again credit Holland-Dozier-Holland, but this is still apparently an error) which the Vandellas had cut back in 1963 for their Come And Get These Memories LP. This turns out to be a thoughtful and well-judged re-imagining of what had been a slightly shapeless, somewhat turgid little song. The catalyst for the improvement in this new version turns out to be Miss Martha Reeves; she owns the song now, such that Mary Wells’ original version now just sounds “wrong” after hearing Martha’s take. Reeves is the title character – an ex-girlfriend asking for another chance in order to redress a past wrong – and she’s on fine form, to the extent that even a slightly clumsy amd clunky spoken word bit can’t take away from the sincerity of her performance. There’s a sense of improvement in the band too, the new quasi-calypso arrangement (differing from the original in swapping out horns for strings, and being taken at half-speed) having more than a touch of the early balladry of Paul McCartney’s efforts on the first Beatles albums. The Vandellas, too, are on lovely form, Roz and Annette besting the performances of the Love-Tones from the original; they add superbly to the delicate regret in Martha’s voice. Still not a great song by any means, but this is just about the best version of it that exists, and that counts for something. I like the Four Tops’ later “Motown Sound” version – more stereotypically HDH in its approach – but all the gussying-up in the world can’t disguise the fact it’s just not that sort of song. So Martha wins for me. 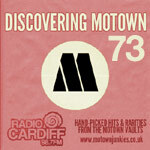 Another one of those Motown songs that’s good to the last drop, that when I recorded it to cassette was slowing bringing the gain up as it faded, so as not to lose a single note. If this hadn’t been pulled from the “Memories” album for a b-side, I likely wouldn’t have heard it till I was an adult, and that would have been a big loss. You’re not kidding about Martha owning this, and when one listens, you are solidly on her side, and pray the guy takes her back. In her autobiography, Reeves names a number of songs that brought her to tears as she recorded them, and I couldn’t tell you this one, when it’s caught me off-guard, never moistened mine. After the judgment day tumult of “Live Wire,” this side brought you in for a melancholy -but welcome- smooth landing. By this point, I’d hear no opposing argument: these three divas were heroes to me. “6” is spot on regarding this rendition of the song but Mary Wells’ version still sounds “right” to me and deserves a “7.” I don’t think that slowing it down adds anything to the tune and no one can beat Mary’s ability to phrase things just right. I don’t understand how you can say this was a HDH song? This was a HDG song! Which was the original songwriting team of Brian Holland, Lamont Dozier and my dad Freddie Gorman. I still have the song writing contracts. I truly think you should do a little bit more research before you make a blanket statement like “a very early HDH number (again with Freddie Gorman credited instead of Eddie Holland on the labels, but this is still apparently an error) “. Wouldn’t you be upset if people kept giving other people credit for your hard work? I’m not trying to come down on you really hard. I’m just trying to encourage you to do a little bit more research. Many blessings! Thanks for the correction! No slight was intended – I actually did research this quite thoroughly, as I try to do with everything factual on the site. Just so you know, the liner notes to The Complete Motown Singles sets (both Volume 2 (for Mary Wells’ version) and Volume 4 (for this one) credit this song to HDH both times (both in the credits and the main body text) which is where that information came from – as noted elsewhere, I take the TCMS sets as my main “source text” and only deviate from them in the face of strong evidence to the contrary. In this case, it seemed odd that the TCMS series credited Eddie Holland when both labels credited Mr Gorman, but then label copy information was frequently inaccurate, and it didn’t seem very likely Messrs Dahl and Hughes (who wrote the notes in question) would make the same mistake twice. In addition, when reviewing the Mary Wells version, I searched through all 300-odd entries on the BMI and ASCAP databases for “Old Love”, none of which (at the time) mentioned Mr Gorman. Since then, it appears the BMI online database has started properly listing ASCAP-affiliated songwriters like your dad (though weirdly the ASCAP database doesn’t mention the song at all! ), and voila: Old Love (Let’s Try It Again), correctly credited. I’ll get to amending the review and categorisation now. Both this entry and the one for Mary Wells’ version have now been amended to credit Freddie Gorman (and the text rewritten where necessary). Public service blogging. If anyone else spots any errors, please don’t hesitate to flag them up! This is all being written by one person with a full-time job and a baby to look after; I do try and be as thorough as possible, but any help with proofreading and fact-checking is always appreciated. Not piling on, and I don’t have the Complete Motown Singles set which I know you are referencing, but my two original pressings of the Gordy 7027 45 do say “Holland-Dozier-Gorman” on the “Old Love” side. So does my CD pressing of the Come And Get These Memories album, and I know that’s from the early 90s. But it’s not like Motown isn’t known to later tinker with writing credits. First pressings (and I have two) of 1970s “Up The Ladder To The Roof” credit only Vincent DiMirco; later ones, and I have at least one of them, add Frank Wilson to that writers line. Early pressings of “Let’s Get It On” read “Ed Townsend” alone; Marvin’s name was added to the writers line later. No worries, it’s important to get these things right! As I said to Dillon, the label copy information being at odds with the TCMS sets did raise flags, but the same error being made twice – and the lack of BMI/ASCAP listings when I went digging the first time – was enough to lower them again. Stuff can still slip through the cracks even when one is being careful – I’d much rather people spoke up about it and gave me the chance to correct any mistakes that have crept in. My Gordy 45s 7027 (DJ and store stock) both list “Gorman”, and so does the vinyl “Come and get These Memories” LP., as does Mary Wells’ version on Motown 1032. I’ve always known that song was co-written by Freddie. Holland-Dozier-Gorman was the regular writing team before Holland-Dozier-Holland got rolling. They wrote several really good songs. Before that, “Brianbert” Brian Holland, Robert Bateman and Freddie Gorman were a key writing team at Motown. I had the pleasure of working with Freddie at Airwave Records, and found him to be a very nice (and talented) person. I’m glad to see that he gets the credit he’s due. More people should know about his important contribution to Motown’s legacy, as well as his contributions to Detroit’s Soul music scene in the late ’50s, ’60s and early ’70s, as well as his later work in L.A.
Good to hear from you again. Good luck with the project, anything that gets your dad’s name and work better known out there gets my vote. I’ve featured Freddie (as both a songwriter and singer, both solo and with the Originals) on the Discovering Motown feature on my weekly radio show a few times now. The 1995 edition of “Don’t Forget the Motor City” gives the composers as Holland, Dozier, Holland, but recognises the discrepancy by stating in the entries for both Mary Wells and Martha and the Vandellas “label replaces one Holland with Gorman as writer”. Information for the composers was sourced from the Jobete catalog itself, so it looks as if that is where the error was originally made. Well, it’s fixed now, at any rate! I’m given to understand there might be a list of errata for the TCMS series at the end of Volume 12B… if that’s true, then this is definitely one for that list, I guess. This one again plays to the vulnerable side of her soulful personality (see “To Think You Would Hurt Me” from the “Come and Get These Memories” Lp). A stone winner despite the “clunky” spoken word passage.